Jon Bennett, Associate Director of Undergraduate Dental Studies at Plymouth University Peninsula Schools of Medicine and Dentistry, has been made a Fellow of the Academy of Medical Educators. This prestigious accolade is awarded to individuals who can demonstrate that they have been working in medical education long enough and hard enough to have achievements in their field, not just in the UK but also overseas. 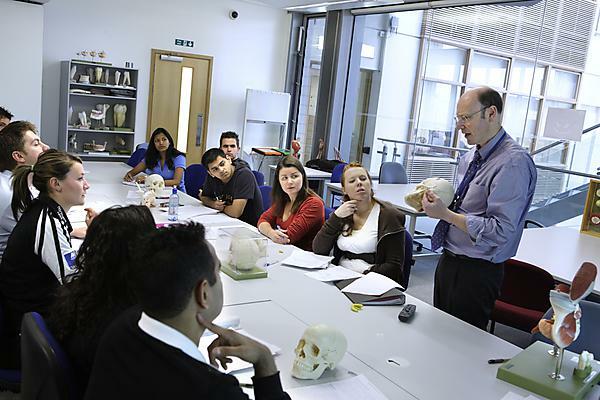 As well as his role in Plymouth, Jon is also an external examiner for a number of other universities and institutions, President of the Association of Basic Science Teachers in Dentistry and Assistant Editor of the Journal of Laryngology and Otology. He is also a Member of the Central Committee for Dental Academic Staff of the British Dental Association and a recent reviewer for Archives of Oral Biology, European Journal of Dental Education and Oral Diseases.